THIS PRODUCT HAS BEEN DISCONTINUED. The TRC is a UHF diversity receiver with 120 selectable channels. The TRC contains an IR Sync to link its frequency to the transmitter. The LCD display shows channel number, frequency, volume output and RF/AF indicator. The TRC works great with any 76 or 64 Series transmitter. 300' Range UHF Frequency Diversity Antennas Single Rack Mount Included 120 Selectable Channels Receiver (TRCR): LCD Display AF/RF Indicators IR Sync Diversity Antennas Squelch Adjustment XLR/¼" Outputs All specifications are for the TRCR. THIS PRODUCT HAS BEEN DISCONTINUED. 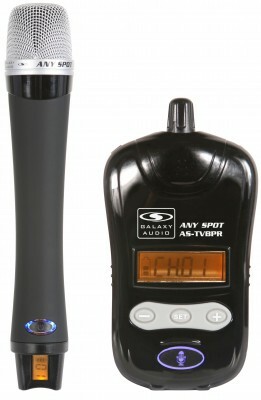 Assistive Listening Systems are used in applications where there are hard of hearing attendees. 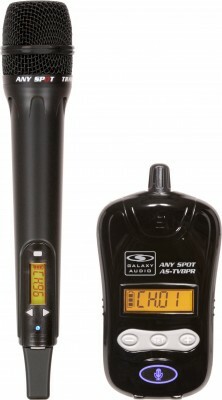 The system includes an AS-1000T (transmitter) and multiple AS-1000R (receivers w/ear buds). Simply plug the AS-1000T into the output of the mixing board and find an available channel. The AS-1000T will broadcast the signal to any number of receivers (must have the same channel selected as the transmitter). This allows each hard of hearing attendee to adjust the volume to his/her liking. FOR BANDS: This system also works great for a band. 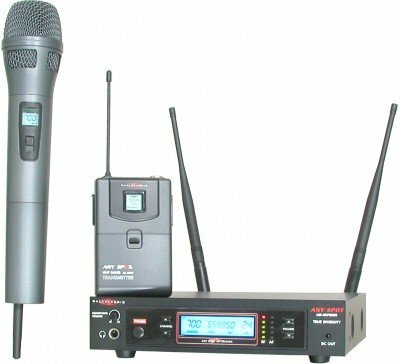 The AS-ALS-4 will allow a band to operate with wireless monitors all using the same mix. Additional receivers may be added for other members. The AS-ALS-4 comes complete with 1 AS-1000T (transmitter), 4 AS-1000R (receiver), 4 EB1 (ear buds), 1 AS-DCC (DC Charger), 4DC Charging cables and all the rack mount accessories. DC charger will charge up to 5 AS-1000R or other DC chargeable units from Galaxy. Extra Receivers are available individually or in a 5-Pack (AS-1000RC-5). THIS PRODUCT HAS BEEN DISCONTINUED. AS-1000R 5 pack with DC Charger and Case. 5 - AS-1000R's with choice of ear bud or ear cups; carrying case; AS-DCC charging unit and 5 charging cables.